Rep. Rashida Tlaib (D-Mich.) is asking colleagues to support a resolution to investigate President Trump for crimes worthy of impeachment following the release of a summary of the special counsel's investigation. Yeah, it’s just theater. We all know this. 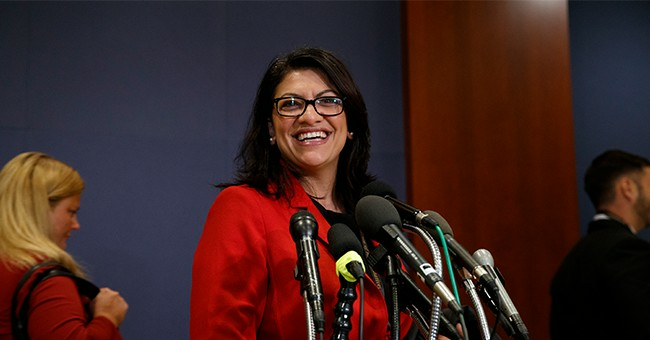 Tlaib’s “impeach the mother**ker” war cry will keep her in office, but supporters of the president should little to fear. Mueller’s report all but killed any chance of impeachment being brought up in the Senate and even prior, the chances were slim to non-existent. Let the Democrats peddle this myth. A majority is now open to re-electing Trump, 54 percent of Independents now see Trump as the victim of a witch-hunt, and only 28 percent support impeaching Trump based on a USA Today survey. So, make your move, Democrats. You put it all in on this report and it’s a dud, a massive nothingburger. A lot of us knew it. Only the moron brigade actually thought this Russian collusion nonsense was real. It never happened. Trump won. Period. Democrats were preparing for a long impeachment battle with the Trump White House based on this report. Now, they've got nothing.